Wed., March 28, 2018, 8:50 a.m.
OLYMPIA, Wash. – Washington Gov. 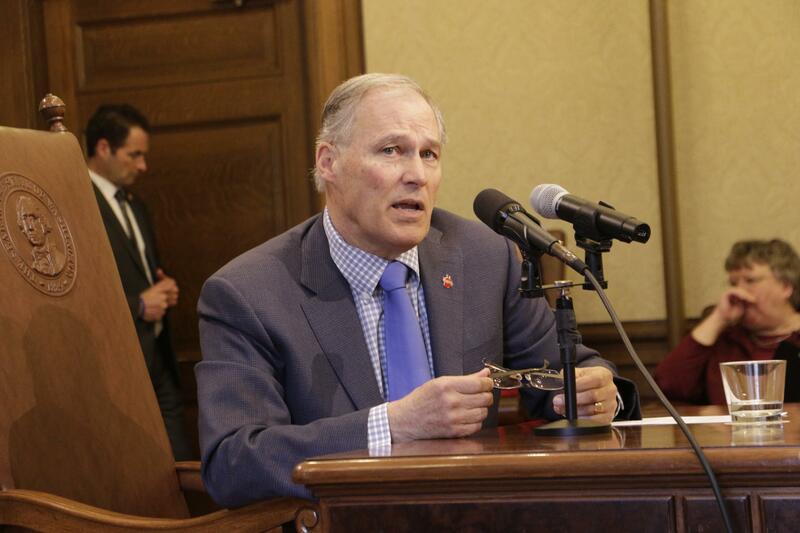 Jay Inslee has sided with public-sector unions in a showdown with Republicans and anti-labor groups by approving a controversial bill that will alter the contracting structure of home health care workers. The News Tribune reports that Senate Bill 6199, which Inslee signed Tuesday, had drawn calls for a veto from many in the GOP and the conservative nonprofit Freedom Foundation, who argued the true intention is to let a chapter of the powerful Service Employees International Union skirt a court ruling to collect more money from employees. Supporters have billed the measure as a way to streamline management services of the health care workers, known as individual providers. Those roughly 35,000 providers currently contract with the state to serve the elderly and people with developmental disabilities. SB 6199 was first requested by the Department of Social and Health Services. At least 17 other states use private third-parties to run in-home care services, according to a letter sent to the Legislature by Bill Moss, an assistant secretary at the agency. The legislation could play into a long legal battle over whether such home-care workers should be required to pay for collective-bargaining costs. Since Washington is not a so-called “right to work state,” union-only shops are legal. That allows public and private sector unions to charge fees to nonmembers in place of dues. The fees are known as representation fees or agency fees. Typically, nonmembers must pay only for bargaining-related costs, meaning they don’t have to pay dues that bankroll overt political action. Workers are allowed to claim a religious or ethical exemption and pay an amount equal to union dues to a charity of their choice. The state’s home-care workers are an exception. They’re considered state employees when it comes to collective bargaining because they contract with the Department of Social and Health Services, but they are not full-fledged public employees, partly because they can be hired or fired by the people who receive services from them. In the landmark 2014 U.S. Supreme Court decision known as Harris v. Quinn, the court said such quasi-public employees are not required to pay agency fees or union dues since they’re not full state workers. This is where SB 6199 would come in. The bill makes home-care workers private employees by outsourcing the state’s contracting role to a private vendor. The individual providers still would bargain over wages and more with the governor’s office and a 14-member board that includes state officials, but they technically would be employees of the private entity. That private status would allow SEIU 775 to create a shop where home-care workers must pay either union dues or agency fees if they don’t claim religious exemptions. Maxford Nelsen, the foundation’s director of labor policy, has said public records show roughly 4,000 home-care workers currently choose not to withhold union dues from their paychecks. It’s unclear if that number would rise or fall if SEIU does change its structure to compel agency fees. Published: March 28, 2018, 8:50 a.m.